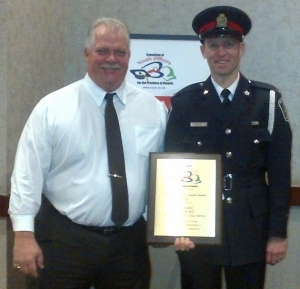 Niagara Regional Police constable Neil Ridley was awarded the Bud Knight award at this year’s Committee of Youth Officers for the province of Ontario (COYO) conference, February 19, 2014, Sheraton on the Falls, Niagara Falls, Ontario. The Bud Knight award is presented annually to an Ontario Police Officer who has shown interest, commitment and dedication above and beyond the call of duty to youth. The officer’s exemplary youth service delivery can be related to on-duty responsibilities or to community volunteer work. 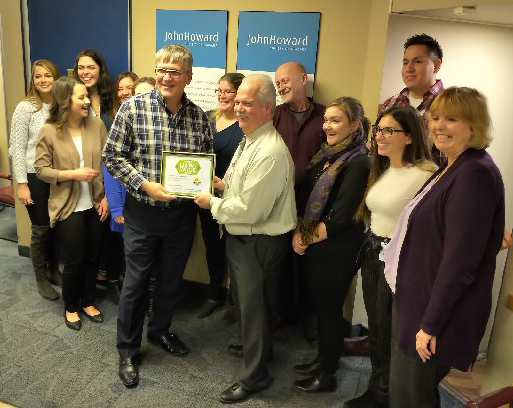 The John Howard Society of Niagara is very proud to have had Constable Ridley as a Board Member for three (3) years. His exemplary efforts working with youth, in the Niagara Region are a shining example of the values held by our organization. Congratulations Neil!